I mean seriously it doesn’t get much better than two desserts smashed together! 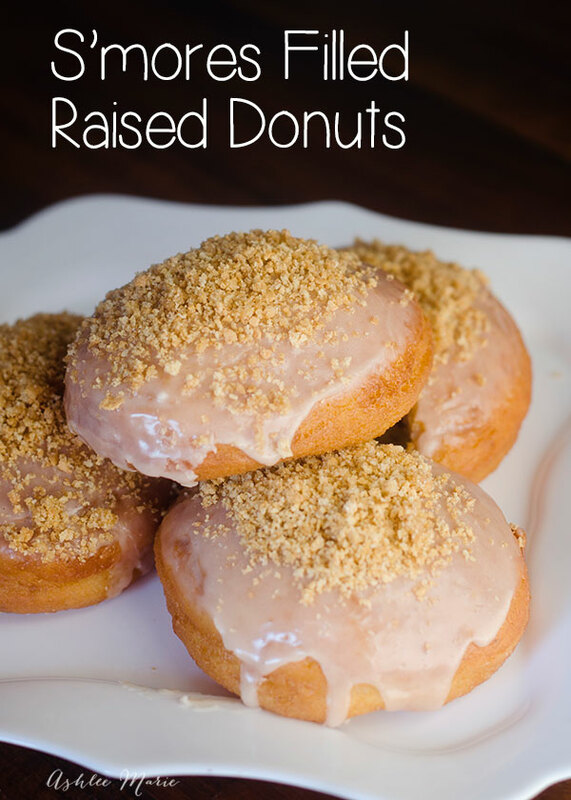 The donuts are based off my homemade raised donut recipe so it’s light and fluffy and tastes great. 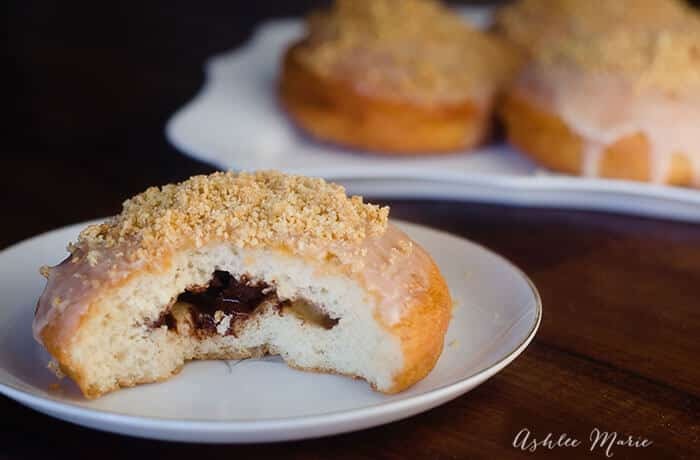 Filled with ooey gooey marshmallows and chocolate and topped with glaze and crushed graham crackers makes a delicious treat. I decided to go with a filled donut rather than just topping it with marshmallows and chocolate. 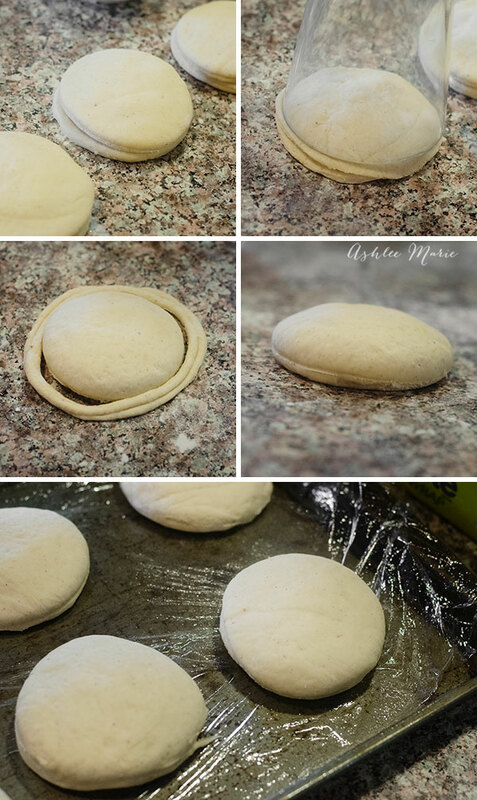 I wanted an gooey center that oozes when you bite into it with a crunchy topping. 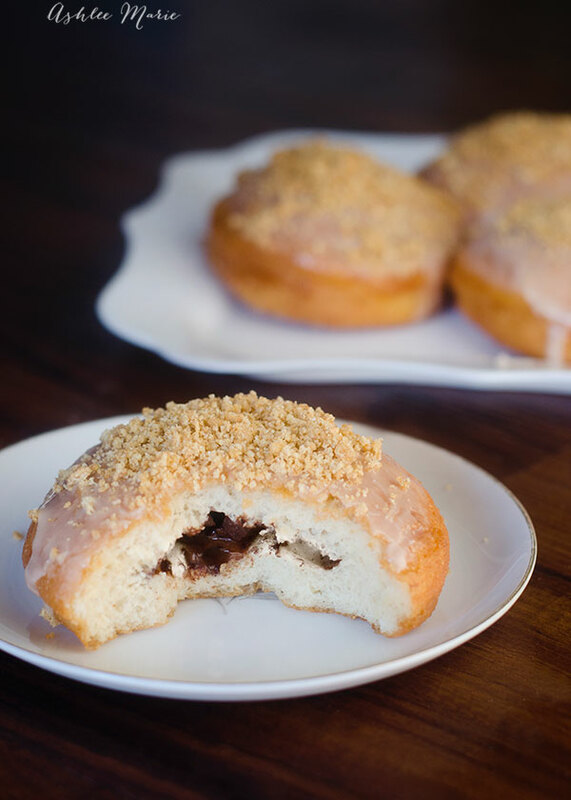 All the flavors of s’mores with the soft texture of a donut holding it all together. Mmmm Delicious! Then add marshmallows and chocolate (I used MINI marshmallows and mini chocolate chips, but you could add chocolate bars and half a large marshmallow if you want too). Mix the powdered sugar, 2 Tbsp milk and the vanilla. Stir with a whisk or fork until smooth, add more milk if the the glaze is too thick 1/2 Tbs at a time. Mix the graham cracker crumbs and sugar, add the melted butter and mix. That’s everything! Mmmmm I think I’ll add even more marshmallows next time, I was a little hesitant to overfill the first time, but lets face it, you can’t go wrong with more marshmallows! in fact I think I’ll try out marshmallow creme and see if I can get a really gooey center. 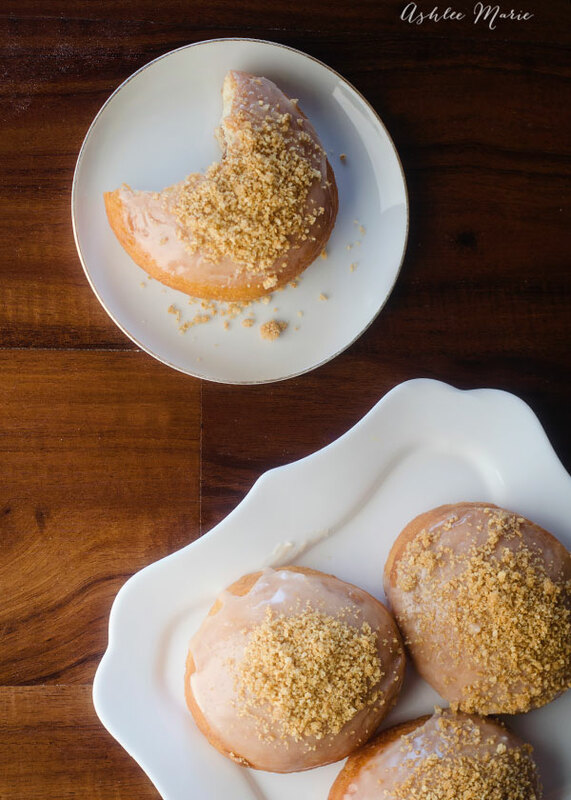 I’m going to try these again with my BAKED raised donut recipe as well. And there you have it! Don’t forget to check out Monday’s Peanut Butter Cookie S’more Sandwiches! And all the S’more recipe link’s from all the other amazing bloggers! two of my favorite thing in one; LOVE this idea! Mmmmm It def needed more marshmallows, never get enough for me!